Debra and Hywel are teachers with 50 years of experience between them. They have worked across settings both nationally and internationally. They still work in classrooms, modelling the practice that they share, keeping their outlook fresh, research informed, and relevant. 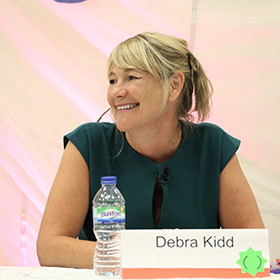 Debra and Hywel co-authored the popular ‘Uncharted Territories: Adventures in Learning’ based on their experiences supporting schools with innovative models of curriculum and the pedagogy underpinning them. Debra has written ‘Notes from the Frontline’ and ‘Becoming Mobius’. Hywel is the author of ‘Oops! Helping Children learn Accidentally’ and a number of storybooks used to support literacy in UK prisons.